Scientists are baffled by the discovery of a mineral on Mars that, on Earth, typically comes from extremely hot volcanoes whose lava was exposed to lots of ocean water. 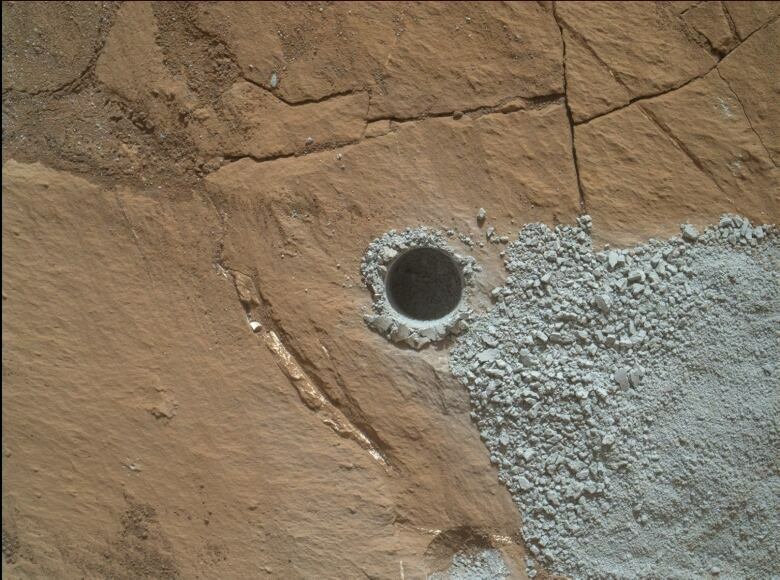 A rock sample drilled by the Curiosity rover in the Gale Crater — believed to be the bed of an ancient lake — included tridymite, a silica-based mineral typically produced on Earth by powerful eruptions of volcanoes such as Mount St. Helens in Washington state, reports an international team of scientists in the journal Proceedings of the National Academy of Sciences this week. "It's really nifty, but we were shocked," said Richard Morris, the NASA scientist who led the study. That's because on Earth, conditions that aren't known on Mars are needed to produce tridymite. While Mars has volcanoes, they're basaltic volcanoes like those on Hawaii that produce a lava high in iron and magnesium and low in silica. The volcanoes in the Cascade range of B.C. and the U.S. Pacific Northwest on Earth are a different kind, called silicic volcanoes. They were formed when the Juan de Fuca plate in the Pacific Ocean pushed under the continental North American plate, taking a lot of ocean water with it. 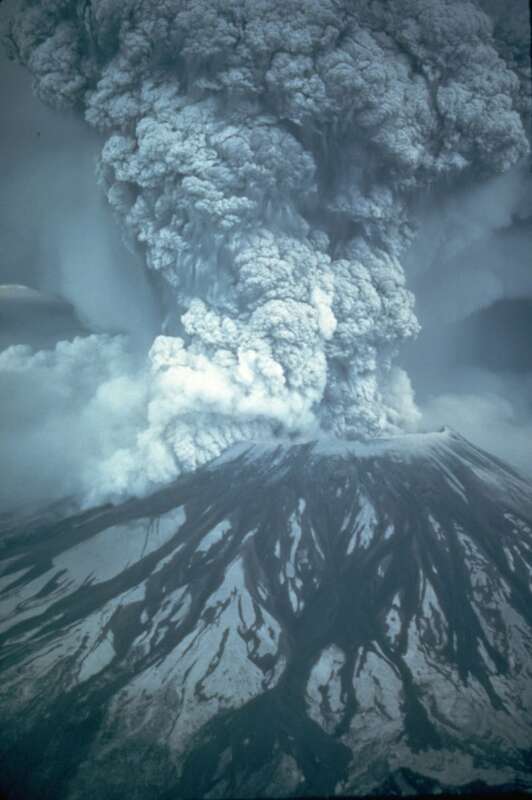 As a result, Morris says, the lava in the Cascade volcanoes contain a lot of silica — a mineral that forms in the presence of water and requires extremely hot temperatures to melt and recrystallize into a material like tridymite. "There's no evidence for plate tectonics on Mars," Morris said. "That's why it's such a surprise to find this tridymite." Nor is there any sign of any silicic volcanoes, nor evidence that there was ever enough water on Mars or any way to get it down deep enough to undergo the kind of processes that generate tridymite on Earth, he added. 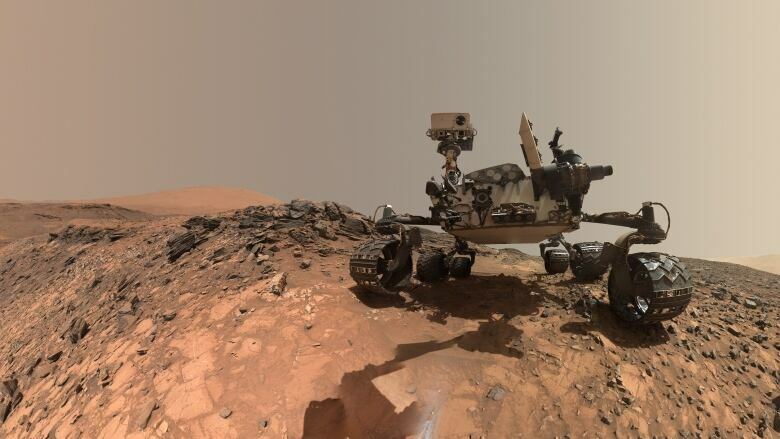 But the mineral discovered by the Curiosity rover is definitely tridymite — "there's absolutely no doubt about that," Morris said. The rover's instruments not only identified the chemistry of the material, but also used X-rays to analyze the structure of the crystal and confirm its identity. "If it stands up," he added, "then something is going on on Mars that we don't fully appreciate." "It's never expected to find something like that [tridymite] in Gale Crater on Mars," agreed Ralf Gellert, a University of Guelph researcher who co-authored the paper. But he added that the rocks in the Gale Crater generally have high levels of silica compared to the rest of Mars, and some of them actually look like rocks that you would find at Mount St. Helens on Earth. Gellert is the lead scientist for an instrument called the alpha particle X-ray spectrometer (APXS) that the Curiosity rover uses to scan the chemistry of rocks in order to decide where to drill and take more detailed measurements. The rover will continue to do that as it climbs up a layered hill called Mount Sharp. The researchers are interested to see whether they will find more tridymite on the way up.